This post is filed under Cheese, Frozen, Oven, Pizza, Red Baron, Tomato Sauce. Red Baron! I remember those, from the days when we were young and foolish and thought cooking meant “take it out of the box and put it in the oven”. They sold ’em for 2/$10 at Grand Union. Above Digiorno huh? That’s pretty good. How does it rate with CPK or those “artisan” pies? Your new photo set-up is pretty darn good actually, keep up the good work. As for frozen pizzas I do take exception to your rating Tombstone ahead of Jack’s. While Jack’s is very mediocre I have always had a bad experience with the cheese on Tombstone’s pizzas. They don’t melt well and have an off taste. Jack’s is extraordinarily bland, however if you sprinkle some oregano and garlic powder on the pizza prior to cooking it actually makes them somewhat tasty. Red Baron is definitely a step up and I agree that Freschetta makes a darn good frozen pie. If you haven’t yet you should try thr frozen California Pizza Kitchen ones, I hear they are very good. I think the browning is a very minor issue when I look between the box and your photo. What’s missing is the stretched cheese! There’s not enough cheese on the actual pizza to stretch (it appears), while there does appear to be enough on the box. So there’s a cheese discrepancy. 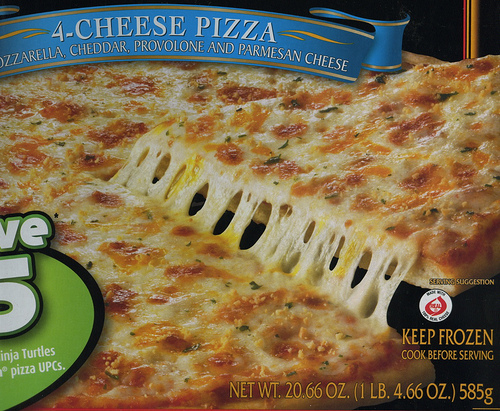 That said, I’m fully confident they “PhotoShopped” that image on the box to insert the stretched cheese. Deliciously unnatural. Cook it at 415 degrees for 27 minutes. 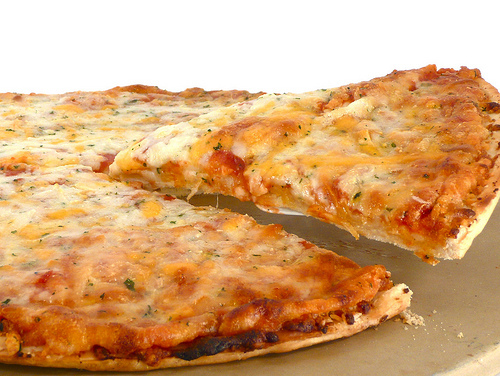 The cheese turns to a golden brown and the crust is crispy. This is in a preheated oven with the pizza pan preheated as well. I like the Red Baron frozen pizzas. I consider them above Digiorno simply because they taste really good and don’t cost as much as the Digirono pizzas do.